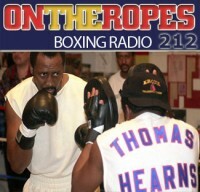 “On the Ropes” Boxing Radio returns this week with it’s 224th edition to talk about all the recent fight action going on in the sport. On this show I will be previewing the upcoming light heavyweight unification bout between Bernard ‘Alien’ Hopkins and Sergey ‘Krusher’ Kovalev that takes place this Saturday night on HBO. 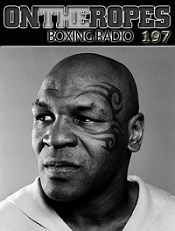 I will be giving my thoughts on the lead up to the event and also give my official prediction for the fight. Just click on the audio player to listen to the show! The first guest on this show is light welterweight contender, Danny O’Connor, who is coming off of a fourth round TKO win over Andre Farmer. Danny talks about his performance last Thursday night and what he has planned for the future. Additionally, O’Connor speaks about the light welterweight division and where he sees himself in the rankings compared to the top stars in the weight class. Lastly, Danny gives his views on the likelihood of a Mayweather-Pacquiao fight and who he thinks would win. 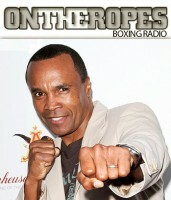 The second guest on the show is former champion and current trainer, John David Jackson. John has gained recognition for his work with current WBO light heavyweight champion, Sergey Kovalev, and now is getting ready to lead Kovalev into the biggest fight of his career as he takes on Bernard Hopkins. 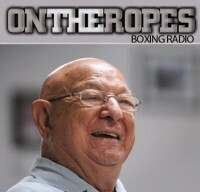 John David Jackson makes third appearance to the show speaks about the preparation leading up to the fight with Hopkins and what he thinks of the forty nine year old Hopkins. 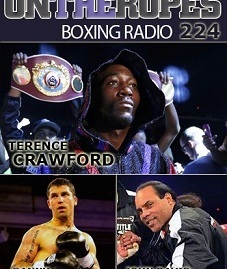 Making his debut appearance to “On The Ropes” is undefeated lightweight champion, Terence ‘Bud’ Crawford. Terence burst on the scene when he took out Ricky Burns in Scotland to get the WBO lightweight crown, he then followed that with a stoppage win over Cuban standout, Yuriorkis Gamboa. Crawford discusses the journey he’s had this far and what he has in store for the near future. Terence Crawford also shares his views on the biggest stars in the sport, Floyd Mayweather and Manny Pacquiao. 2 Responses to "Terence Crawford on Beltran bout & wanting Mayweather to fight Pacquiao. 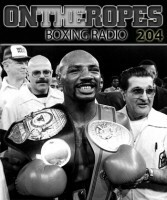 Also with Danny O’Connor & John David Jackson – OTR #224"